This is the first book on the office of the Welsh Language Commissioner, a position created in 2012 to promote and facilitate the use and equal treatment of the Welsh language in Wales. Diarmait Mac Giolla Chríost draws upon a rich variety of source material arising from fieldwork conducted in a number of jurisdictions, including a series of documents obtained under a number of Freedom of Information applications, in-depth interviews with key actors from pertinent legislatures, governments, regulatory offices, interest groups, and civic society. 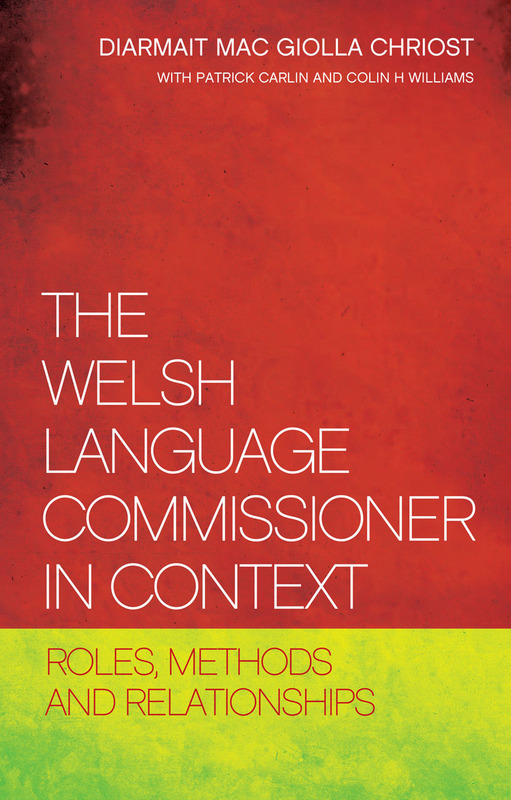 The Welsh Language Commissioner in Context is multi-disciplinary in approach, engaging with language policy and planning, sociolegal studies, and the politics of language. 8 Conclusions: Too complex a regime?